SysMus (International Conference of Students of Systematic Musicology) is a series of conferences organized by students for students. In 2018 it will be held for the first time in Latin America, on June 6th-8th, in the city of Belo Horizonte, Brazil. 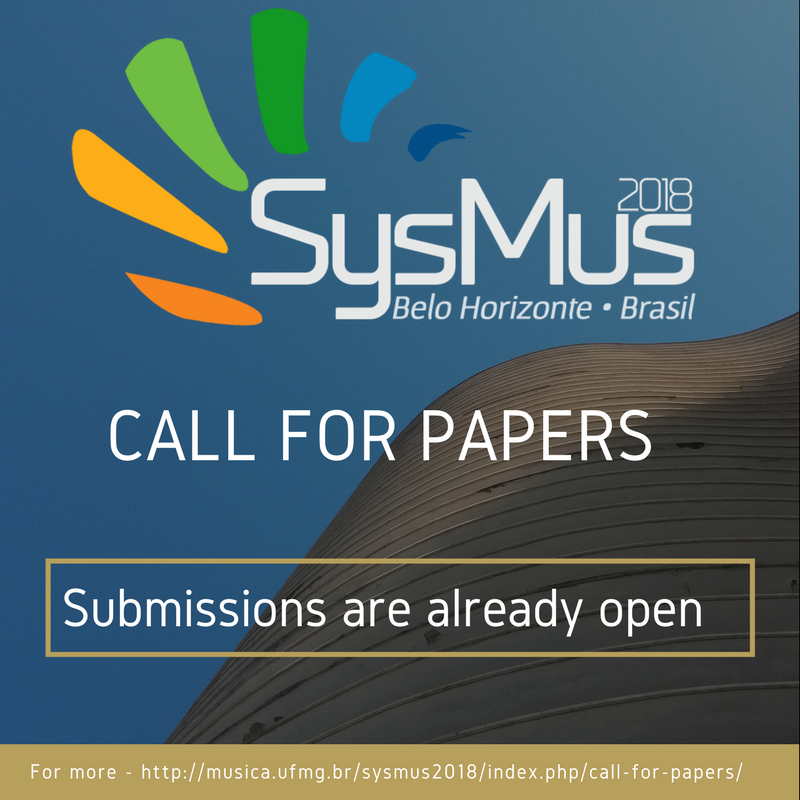 The SysMus conferences promote systematic musicology as an interdisciplinary field by giving students who study music from computational, psychological, sociological and other non-traditional perspectives the opportunity to interact with each other and with successful professionals in the field. All the submissions will be made in the form of extended abstracts. The extended abstracts should be no more than 300 words (extended) in length, be written in English, and address one of the conference topics listed below. All submissions will be considered for both spoken paper and poster presentation categories. However, the author can indicate a preference for either spoken or poster presentation in the submission form. All abstracts will be submitted via an online system in the following link: https://cmt3.research.microsoft.com/SysMus2018. The submission must also include a short abstract (maximum 150 words). Submissions are due December 15, 2017. Notification of acceptance February 2, 2018. All accepted presenters are invited to submit a 4-8 page proceedings article that will be published online. The deadline for submitting this proceedings article is April 20, 2018. Oral presentations will be allocated slots of 20 minutes, with 12 minutes for the presentation, 5 minutes for discussion, and 3 minutes to prepare for the next talk. Poster presentations will have designated time slots and presentation spaces that will not overlap with any other activity. Where: Music Conservatory of the Federal University of Minas Gerais, Belo Horizonte, Brazil.